Although Marty ran middle school and high school track and was always committed to the volleyball and basketball teams, she felt she had to struggle just to fit in. “I never received the coaching I so desperately needed, so I was left in the dust of my teammates. I didn’t have a strong passionate coach that was willing to help me fine tune any of my skills. So, I wasn’t ever treated as part of the team, but I refused to quit”, explains Marty. “My parents taught me to always finish what you start, So I never gave up”. Marty says she was always the shy kid that just rolled with whatever life handed her. She never spoke up against the turmoil she endured throughout her adolescent sports career and therefore, felt that she never learned who she was in life. Lacking self-confidence and never feeling “good enough” to be a true part of this something bigger. It wasn’t until her senior year of high school that the track coach approached her to join the track team. “I was hesitant because I hadn’t run any type of distance over what we did for warm up drills in volleyball and basketball since middle school”, says Marty. “I thought long and hard about it, then I told myself it couldn’t be any worse than what I’d put myself through the past 7 years. So, I did it and it was one of the best decision I could have made for myself”. Now Marty finally had an amazing coach and great teammates. She goes on to say, “I finally had people that took the time to teach and encourage me. I finally had a team that was there for me. I learned that running is a solo sport, but also takes a team to persevere. Running helped me create self-confidence and build my self-esteem”. “Running has changed my life in ways I never imagined. While I wouldn’t go back and change things, I do sometimes wish I’d discovered running a little sooner. If I’d found the love, compassion, and community that running harbors earlier in my life, I feel that my adolescence would have been much easier”. Marty says that this is her ‘WHY’. The reason she founded, created, and coaches PR Youth Running. PR Youth Running is a youth running club that focuses on perseverance. Marty says, “I want kids to have that sense of belonging that they so desperately need in adolescence. So many kids feel left behind, out of place, and perhaps inadequate”. Through PR Youth Running, kids learn to strive towards daily health and self-esteem, therefore increasing their confidence in who they are and what they can achieve. Exceeding their own Personal Records, while becoming a part of a team of like-minded kids helps boost their character and confidence in who they are as individuals. Marty sees the potential in each youth participant to grow into confident successful adults. She goes on to say, “Winners are created from within! Beating their individual personal best with a new PR (Personal Record) helps them build a rock-solid foundation of self-awareness”. PR Youth Running is a non-profit youth running club. Their mission and passion is to help kids achieve a personal record (PR) in self-esteem, confidence, and daily health. Their purpose is to enable youth to build confidence through running as well as learn how to develop a powerful and positive mind. It is unfortunate that in today’s education system, many children are feeling left behind, out of place and perhaps inadequate. In fact, it is because of these things that the suicide rate is higher than it has ever been in youth ages 10 to 18 and the last person to ever learn of their child’s inadequacies are the parents. Through PR Youth Running, children learn to strive towards daily health and self-esteem, therefore increasing their confidence in who they are and what they can achieve. Exceeding their own Personal Records, while becoming a part of a tribe of like-minded children helps boost their character and confidence in who they are as individuals. Winners are created from within! Beating their individual personal best with a new PR (Personal Record) helps them build a rock-solid foundation of self-awareness. 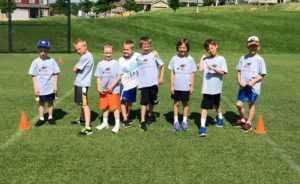 While running is the core of the program, the kids learn that hard work, discipline, and perseverance lead to success, both at running and in life. These lessons translate directly into their education, self-esteem, confidence, and healthy living. 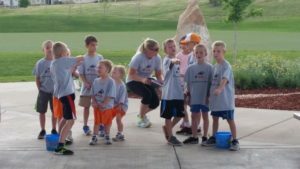 PR Youth Running offers Spring/Fall after school youth running programs and summer youth running programs. 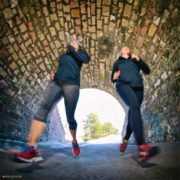 Each session begins with self-esteem and confidence-building techniques, games, and ends with running exercises that help build a strong running foundation. A typical session practice starts with a team building game like a three-legged race or a team Human Centipede game. Confidence building is next by teaching the kids to work together and push through adversity. The session ends with distance running where we work on proper running techniques and form. By the end of the session, each kid feels better about themselves, has tools to handle bullies, and become better runners.